Under Construction - This beautiful one story 1936 sq. ft. "HARTFORD" home has four bedrooms, two baths and a two car garage. Complete GE kitchen appliance package, low maintenance 18 x 18 ceramic tile floors in foyer, kitchen, laundry room and all baths, programmable thermostat, 40 gallon electric water heater, Mohawk carpet, designer laminate countertops in kitchen and 36 cabinets with raised panel doors. 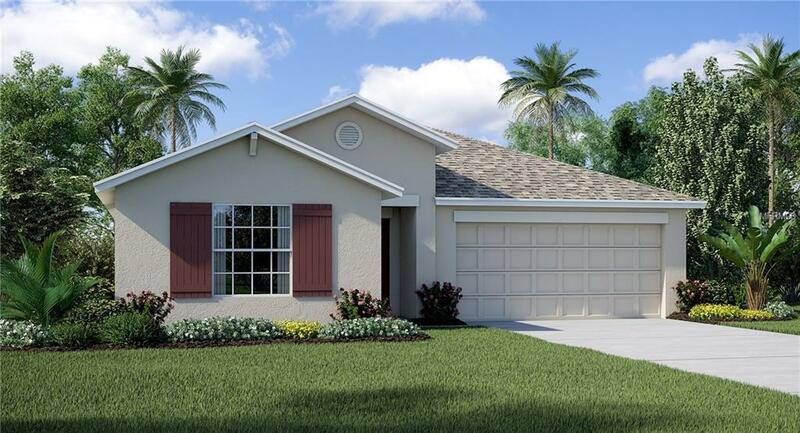 This community is located just minutes away from the beaches, boat ramps, golf courses, outlet shopping and I-75. Community amenities include a resort style pool, open pavilion, Fun Zone, basketball courts, Bark Park, ballpark, outdoor fitness stations, walking trails and more. "Interior images shown are different from the actual model being built. "